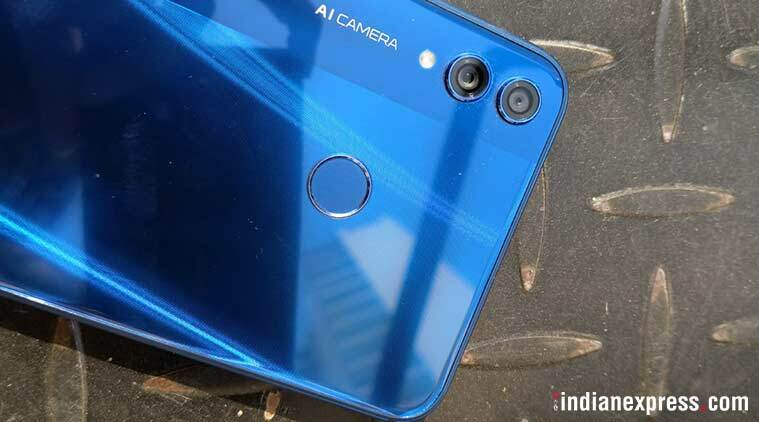 Honor 8X launch price in India, specifications, features: Honor 8X will be an Amazon exclusive in India, here is the price, specifications, and features. 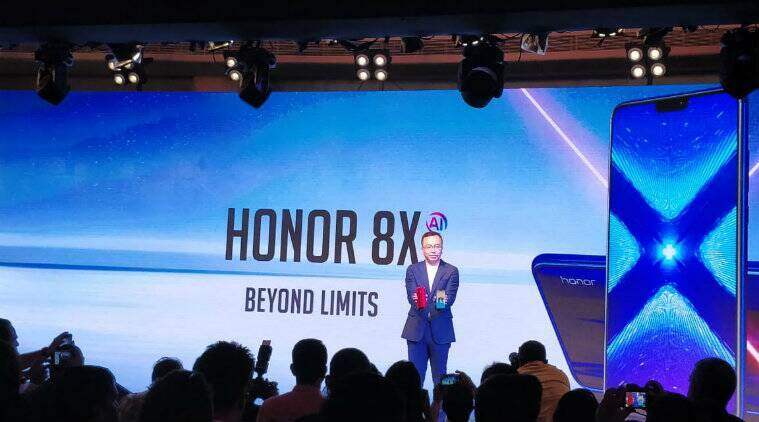 Honor 8X India Launch Highlights: Honor 8X will be pitted against Xiaomi Redmi Note 5 and Motorola One Power. 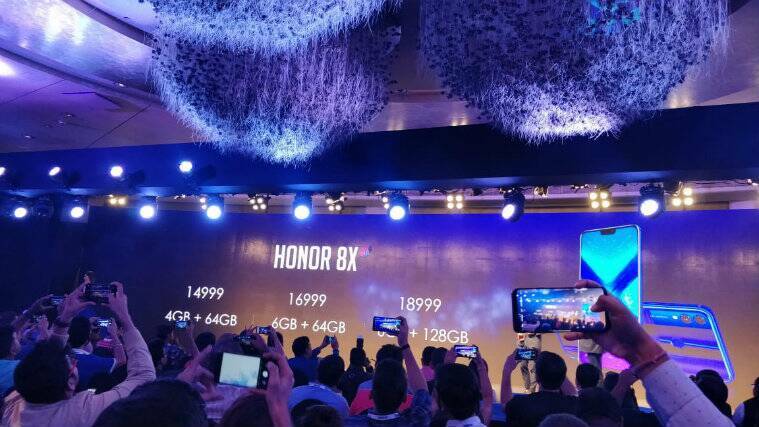 Honor 8X Price in India, Specifications, and Features Launch Highlights: Huawei sub-brand Honor will launch its new smartphone, Honor 8X in India today. The company originally launched the device in China last month. The Honor 8X could be priced between Rs 15,000 and Rs 20,000 in India. It will be Amazon exclusive in India and the ‘Notify Me’ page is live on the e-commerce platform. Honor 8X sports a 6.5-inch full HD IPS notched display, with a screen aspect ratio of 19.5:9. It is powered by the HiSilicon Kirin 710 processor paired with ARM Mali-G6 GPU. The phone comes with 4GB/6GB of RAM paired with 64GB/128GB of internal storage expandable up to 512GB via a microSD card. Honor 8X is based on the Android 8.1 Oreo OS with Huawei’s EMUI 8.2 skin on top. All of this is backed by a 3,750mAh non-removable battery. The Honor 8X features a 20MP 2MP dual rear camera setup, paired with LED flash. On the front, it features a 16MP sensor with f/2.0 aperture for taking selfies. Both cameras come with artificial intelligence (AI) support. Honor has partnered with Amazon India to sell Honor 8X as an Amazon exclusive. Honor 8X will go on sale starting October 24 on Amazon India, as well as Honor's new store app. The device is available in three memory configurations: 4GB RAM/64GB internal storage, 6GB RAM/64GB internal storage and 6GB RAM/128GB internal storage. These models are priced at Rs 14,999, Rs 16,999 and Rs 18,999, respectively. Honor has announced the launch of its new Store app on Google's Play Store. The company claims that the new store comes with improved performance, optimised user experience and access to coupons and v-codes. Honor 8X sports a dual rear camera setup, consisting of a 20MP primary sensor and a 2MP secondary sensor on the back. The vertically stacked cameras air paired with AI features, through which it can recognise 22 scenes, and up to 500 object categories. The camera also comes with multi-frame stabilisation, 6-second handheld shooting, AI motion recognition, and AI super slow motion mode. On the front, the device features an AI-enabled 16MP camera for taking selfies with beautification features. Honor 8X is powered by the company's own HiSilicon Kirin 710 processor paired with ARM Mali-G6 GPU. The device comes with Huawei's proprietary GPU Turbo 2.0 technology enabled. Honor 8X is backed by a 3,750mAh non-removable battery with support for fast charging. The device will be available in three RAM/internal storage variants: 4GB RAM/64GB internal storage, 6GB RAM/64GB internal storage and 6GB RAM/128GB internal storage. It comes with expandable storage of up to 528GB, to be enabled by microSD card support. Honor 8X has a 91 per cent screen-to-body ratio, with a 42mm width of the bottom border. To achieve the 42mm bottom border, Honor has integrated double L-shaped antenna bands. Also, the phone features a small notch on top, that houses the front camera as well as other sensors. Other design features on this device include a double textured design, featuring 15 layers of Aurora 2.5D curved glass. Commenting on Honor's progress in India, Zhao states that Honor India has grown by over 400 per cent since January 2018. Further, he adds that the company expects over 500 per cent growth in the Indian market by next year. This, Zhao claims, will help push the brand to a higher ranking, and aims to be the top-selling smartphone brand in India by 2021. 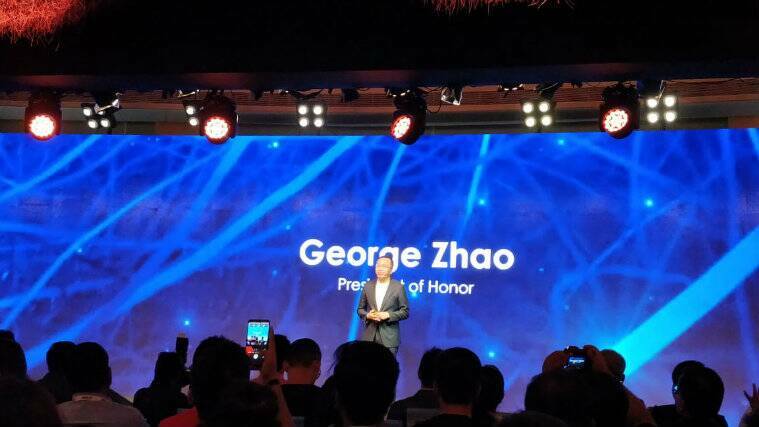 Honor president, George Zhao, has taken the stage and speaks about Honor's new strategy for India. 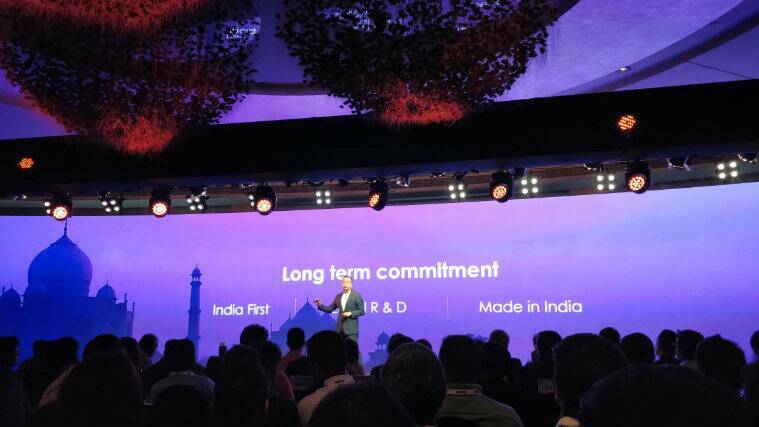 He states that the company aims to bring a lot of new products to India in the coming days. Honor India is amongst the top two online brands in India, claimsZhao. Honor 8X sports a 6.5-inch FHD notched display and an aspect ratio of 19.5:9 and a resolution of 2244x1080 pixels. Honor 8X comes in three colour options - Black, Blue and Red. The company does have an additional Purple variant in the global market. 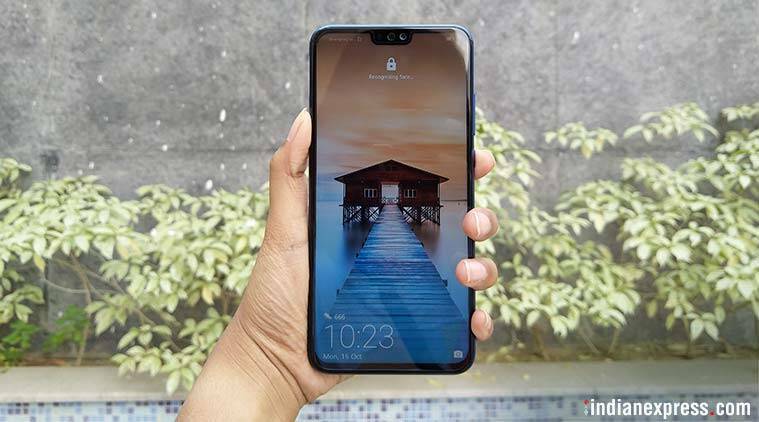 Huawei owned Honor has launched its latest smartphone, Honor 8X in China, Malaysia, Russia, Czech Republic. It will be launching the same in India today. After which the company will launch the device in Thailand on October 24. We are inside the venue and waiting for the event to begin. 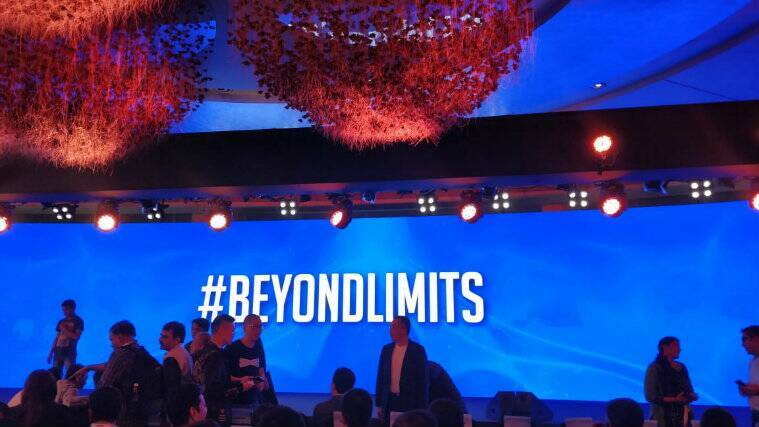 Sanjeev P, Vice President -Sales - Huawei & Honor Consumer products, is expected to open the keynote presentation shortly. Honor 8X will be launched at an event in New Delhi today. The event is to begin from 11.30pm, which is just a few minutes away. The company will host a livestream of the event through their official YouTube channel. Given the known specifications and a mid-range expected price, today's launch could set the agenda, and approach towards phones in the near future. The Honor 8X is expected to be priced between Rs 15,000 and Rs 20,000 in India. It marked its debut in China last month. The new Honor smartphone will be an Amazon India exclusive, as the ‘Notify Me’ page for the phone is already live on the e-commerce platform. Honor 8X sports a 6.5-inch full HD+ IPS notched display. It is powered by the HiSilicon Kirin 710 processor paired with ARM Mali-G6 GPU. It supports expandable storage through microSD card support. The device runs Google’s Android 8.1 Oreo operating system with the company’s own EMUI 8.2 skin on top. The phone is backed by a 3,750mAh non-removable battery. On the camera front, Honor 8X features a 20MP+2MP dual rear camera setup, backed by a LED flash. The phone also sports a 16MP front sensor with f/2.0 aperture. Users can explore camera modes like AR stickers, Portrait mode, HDR, and Super Night Scene on this phone.